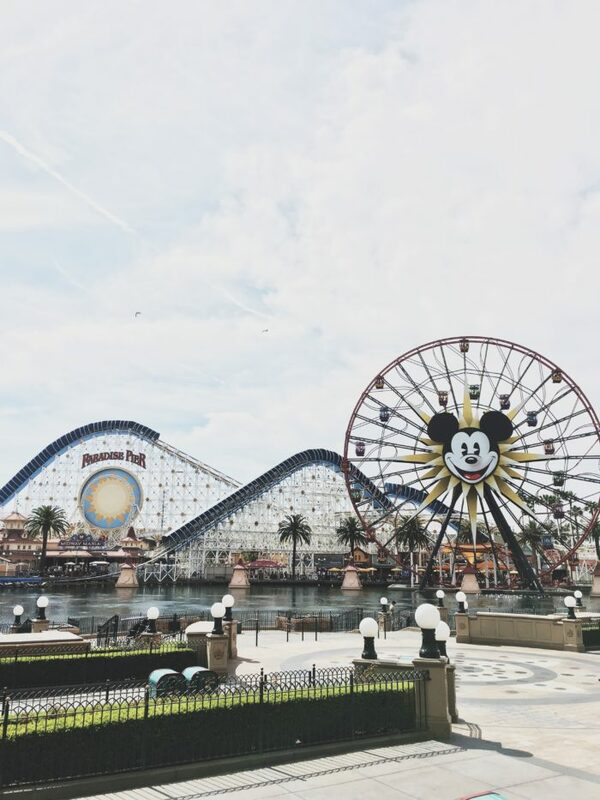 The best DISNEYLAND TIPS with kids and babies! 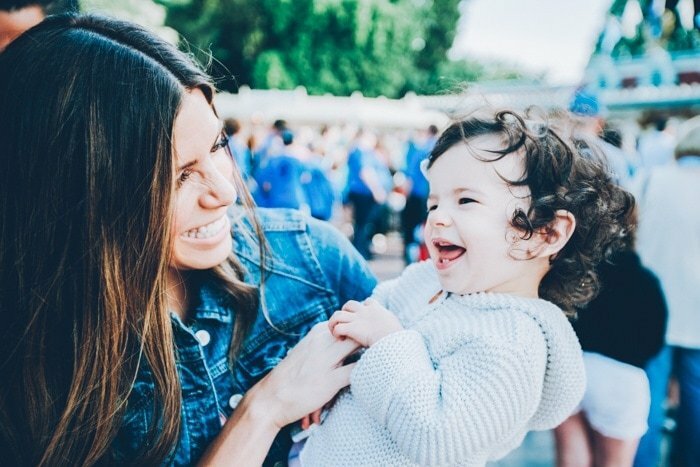 I've learned after two years of being a Disneyland annual pass holder and visiting the happiest place on earth dozens of times with little kids, whether by myself or with my husband or other mom friends, one or two kids in tow, in shape or 11 months pregnant (ha), that there are some hidden tips and tricks that will give you an even bigger bang for your buck, a smoother ride, a more flawless experience while visiting this magical kingdom with KIDS and BABIES. We've already experienced those bummer days where we forgot something important, didn't check a vital website, or got stuck in the wrong line, but mostly we've figured out how to have a (pretty) perfect time at the magical kingdom and we want YOU to have that experience too. 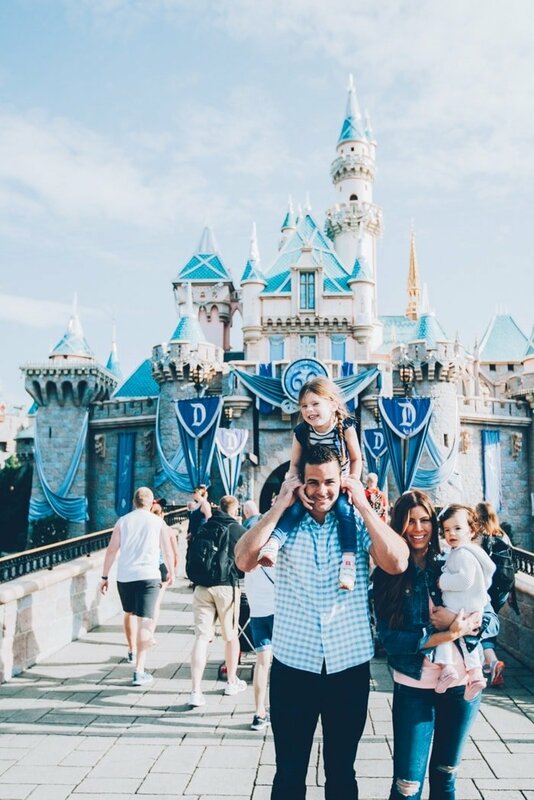 We've worked super hard the past few months to round up our best kept secrets, tips and tricks so that you and your family can have the very best time going to Disneyland with kids! Also, if you read this and were like, “bummer, I don't have kids so I don't care!” you're in luck. We have a SUPER fun adult guide to Disneyland coming out TOMORROW. Stay tuned for that, and in the meantime keep reading cause some of these tips apply to all ages! 1. 1 hour ahead: this may sound dramatic but it takes forever to actually BE inside Disneyland from the time you pull up to the parking lot! So plan to roll into the Disneyland parking lot one hour before the park opens if possible. This will give you time to park your car, walk to the shuttle, ride the shuttle, and get in line and by the time you do all of this you'll wait maybe 20 minutes which is the perfect amount of time to get in first! Go to the resort that isn't offering early admission! Which leads me to my next optional but very cool tip . . .
2. Buy early admission: you can buy your way into Disneyland an extra hour early Tue, Thu, or Sat by either purchasing a 3-day park hopper pass ONLINE (you have to buy in advance!) or by staying at one of the Disney hotels. The ONLY way to get into California Adventure early (Mon, Wed, Fri & Sun) is by staying at one of the Disney hotels. We've stayed at the Grand Californian to get into the parks early and it's totally worth the cost IF you're on time. Line up at least 30 minutes in advance so you can actually enjoy the rides before the park gets crowded! 3. TWO BAGS: This is one of my best tips for staying happy as the parent! Bring TWO bags – one large bag to keep all your heavy and non-valuable stuff in the stroller (drinks, snacks, diapers, wipes, sunscreen, etc) and one lightweight bag to wear in line just for your valuables like your wallet, cell phone, camera and whatever you must have in line to keep your kids happy. I like using a backpack like this or a cross-body bag like this ($38!) that you don't have to fuss with a lot. 4. Foldable stroller: Normally I'm a huge fan of the City Select but it's not my favorite to take to Disneyland because of the trams. If you get lucky and can park at the Mickey and Friends parking lot then you can wait in a slightly longer line at the very end of the tram to walk your stroller onto the tram without folding it. But if Mickey & Friends is full or closed off for whatever reason, you may be re-routed to the Toy Story Parking Lot where you'll get on a BUS, not a tram, and you must fold your stroller. It's way easier to have a stroller that folds easily like the City Mini! I'm not saying you have to own one of these strollers, but if you have an option it's a lot easier to bring something like a City Mini or Britax B Agile (the City Mini Double GT is what we use)! Disneyland also has their own version of the city mini that they rent for $15 per day. 5. Stroller lock: If you're taking a stroller with you that would cost a kidney to replace and you don't want to worry about having it stolen, use a stroller lock! I've heard both sides of this argument – people who have taken Orbit Strollers and Bugaboos into the park a million times with no issues, and I've heard people say their BOB was stolen. We've had great luck so far and usually out of laziness I skip the stroller lock, but I totally get it if you want to err on the side of caution! **if you're going to use a stroller lock, be sure you only lock your wheels together, don't attach it to any Disney property or they might cut your lock! 6. Baby carrier: Trust me when I say that this WILL make or break your Disneyland experience if you have a baby with you! I always, ALWAYS bring either a Solly Baby Wrap or an Ergobaby carrier to Disneyland if our baby Lyla is with us. There's nothing worse than wrestling a wiggly baby in line and your arms dying until you get back to your stroller every time you stand in line for a ride. Plus if you're lucky they might nap in the carrier! 7. Lines at far end: This is a tip I still remember from my first time at Disneyland when my parents took me as a little girl! Go to the FAR right or left when entering the parks for the shortest lines. The most obvious ones straight ahead of you (path of least resistance) will be the longest. 8. First rides to hit up: When you go into Disneyland, go straight to Peter Pan since it's one of the most popular rides that does not offer fast passes. For California Adventure, go straight to Radiator Springs Racers and if you're wanting to ride it twice that day, grab fast passes first thing because they run out very early in the day, sometimes within the first hour of the park opening. 9. Where to stay: As I mentioned earlier, if you stay at one of the Disneyland hotels you'll get into one of their parks early! That said, they are significantly more expensive than other options and especially if you have small kids who need naps and you don't want to all be stuck in one room, it might be easier to stay off-site. We've also stayed at airBNB locations where you can pick a vacation rental that give kids and parents their own rooms, close enough to park free and walk, and go back anytime you need to take naps! They're usually way more affordable than Disney hotels too, especially if you don't want to sleep in the same room as your kids. You can use this link to get $25 off your first stay. 10. Favorite website references: I never, ever go to Disneyland without checking two sites! First, the Annual Pass Daily Calendar to make sure our passes aren't blocked out! Once we took our kids to Disneyland without checking the calendar and it was a very expensive $300 day to get us all into the Magical Kingdom. Next, I check is it packed. This crowd forecaster is pretty accurate and helps me plan when to avoid the park on the “forget about it” days, and when to schedule it into our calendar on the “ghost town” days! We love ridemax for planning out what rides we want to hit that day and in which order. Not a website, but I absolutely love the @magic_kingdom_mamas instagram – they post great tips and tricks daily for Disneyland! 11. Bring your own food & drinks: You're totally allowed to bring your own food & drink and that stuff is expensive in the park! And some of the food is amazing, some of it is just overpriced and totally average. 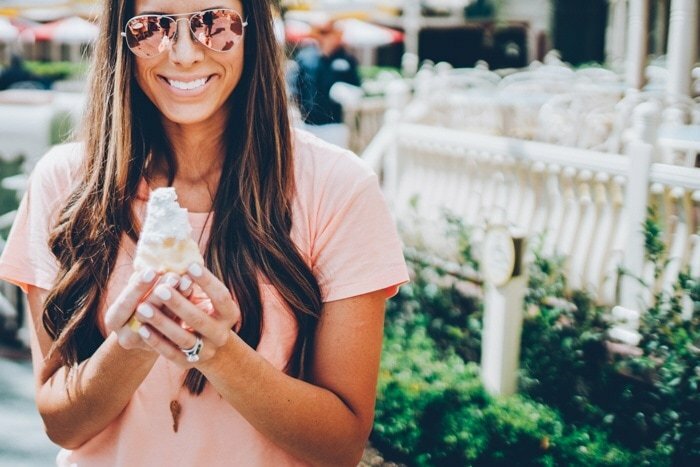 So if you're wanting to save cash, pack your water bottles, juice boxes, snacks, and even sandwiches before you hit the park, and just buy a treat like Dole Whip at the Tiki Juice Bar or a Matterhorn Macaroon from the Jolly Holiday Bakery Cafe (two obsessions I DREAM about in the off-season). 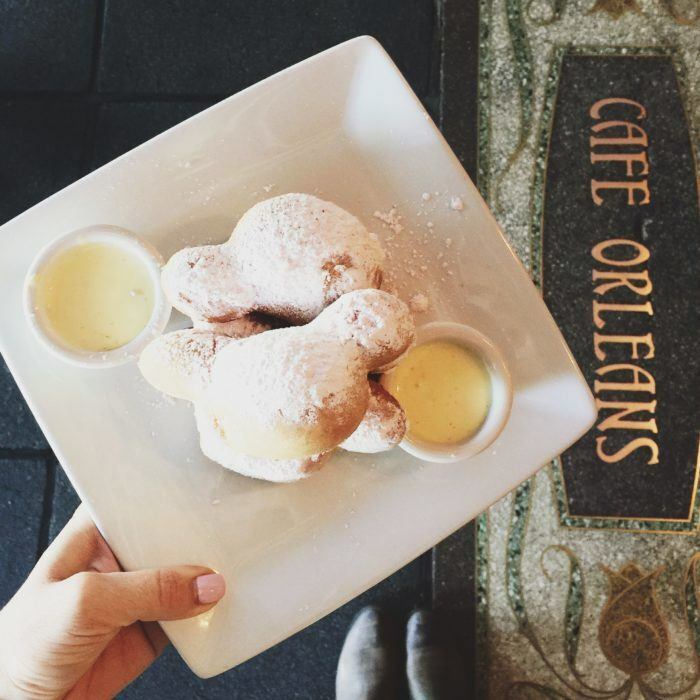 If you're going to eat a meal at Disneyland, our favorite restaurant is Cafe Orleans (get the monte cristo or the beignets, or both!) or for non-sit-down service and a quick somewhat healthy option, Bengal Barbecue is delicious (we love the chicken or veggie skewers!). I have such strong opinions about the best food at the park that I'm eventually going to do a post JUST on our favorite bites, because I could talk about it all day long! 12. 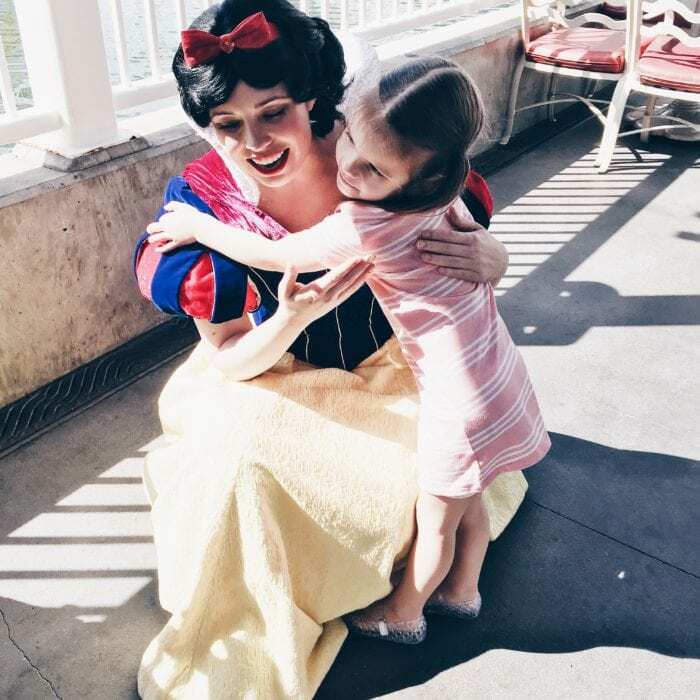 Character Dining: if you've got a little girl who's dying to meet the princesses, one of the best ways is to go to Ariel's Grotto for breakfast or lunch. The princesses will each come around to your table while you're enjoying your meal and you'll get a photo op with each one. If having great outdoor lighting for these photo ops is important to you, Ariel's Grotto is the way to go. The food is good but not amazing by any means! We've also done character dining for the purpose of this post and to compare at Goofy's Kitchen and it is fun but it's indoor with not as great of lighting and the food is buffet style. OKAY but nothing to get excited about. If I had to choose, I prefer Ariel's Grotto. You can make reservations at any of the character dining locations online or over the phone, up to 60 days in advance but I've made them the same day as well. Then again, our passes are blocked out during summer and holidays so it might be wise to call ahead if you're visiting during peak times! 13. Baby Care Centers: located at the end of Main Street USA in Disneyland or next to the Ghiradelli Shop in California Adventure, the baby centers offer everything you can imagine from diapers to wipes to formula to bottles to purchase just in case you forgot something vital! They also have nursing stations, changing rooms, feeding areas, and a main room with a TV and little chairs if you have an older sibling who needs to be entertained while you take care of baby. Disney thinks of EVERYTHING. **they only accept CASH but there are ATMs close by where you can get some if needed! 14. Souvenirs: souvenirs are soooo expensive at Disneyland that we've literally bought two ever – one is shown in our video below! I never wanted our daughter to get in the habit of asking for something every time we exited a ride so we made it a huge, special treat when she picked out a souvenir. If you're planning a trip to Disneyland, buy souvenirs ahead of time like Disney stuffed animals or Disney princess costumes. If you do purchase souvenirs at the parks, you can have them sent to will-call so you don't have to carry them everywhere or if you're staying at one of the Disney owned hotels, they can send your souvenirs to your room for free! 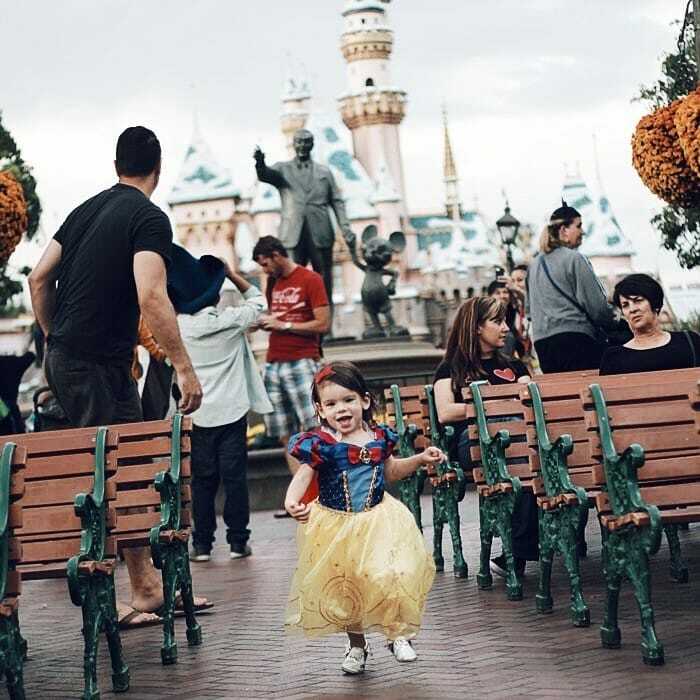 Ani's first trip to Disneyland – I bought her Snow White costume at the Disney store at the mall for way less than we would've paid at the park! 15. Jackets, sweatshirts, blankets and ponchos: I cannot stress enough how important this guideline is to follow! Bring a jacket, sweatshirt or blanket for everyone. Once I skipped this rule, didn't check the weather, and it started pouring right as we entered Disneyland … $150 later we were all warm and dry in our matching Disney hoodies. #OOPS. Also, it gets chilly at night most of the time so something to warm up with is nice! Rain ponchos purchased ahead of time are way less expensive than at the parks! Blankets are nice for covering babes in strollers AND to save spots to watch parades or fireworks! 16. Pack backup batteries and chargers: it stinks to run out of battery on your phone or camera so pack an extra camera battery or backup phone charger! 17. 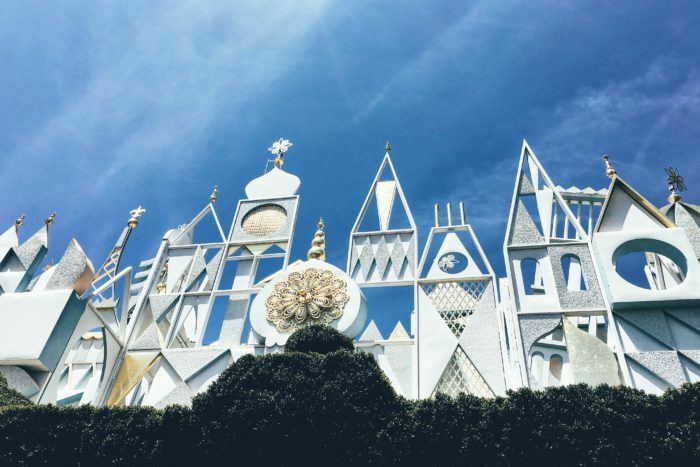 Photo ops: Our favorite spots for taking photos are in front of the castle (duh), to the right of the castle, next to Walt and Mickey, or by Small World! At California Adventure, we love pictures in front of the platform that has the carousel and California Screamin' in the background, or in Cars Land in front of Flo's V8 Cafe. You can ask one of the cast members taking photos with their professional camera to also take a photo with your phone or your camera and they will! They're usually really nice and really good at it, too. 18. FAST PASSES: the most efficient way to do Disneyland with kids is using the Fast Pass system. You go to the ride you want, find the fast pass distribution machines, enter your park ticket or annual pass and it spits out a “fast pass” with a designated time for you to come back instead of waiting in a long line. Usually you can't get another fast pass until the return time for the one you just got, or 2 hours later, whichever comes first. As I mentioned earlier, some rides sell out of fast passes really early like Radiator Springs Racers. HACK: you can have fast passes at BOTH parks, but everyone must be present in that park! So you can go into California Adventure, grab fast passes for Radiator Springs, then go right over to Disneyland and get fast passes for a popular ride like Hyperspace Mountain or Splash Mountain. This page explains the fast pass system in even greater detail. One thing I feel like nobody talks about is that fast passes are really only useful when you have kids tall enough to ride the height-restricted rides, because almost ALL the fast passes are for rides with height restrictions (Star Tours, Indiana Jones, Splash Mountain, Space Mountain, Big Thunder Mountain), except Buzz Lightyear Astroblasters and Roger Rabbit's Car Toon Spin – neither of which are my favorites haha, and Haunted Mansion which isn't height restricted but can be scary for littles! In California Adventure however, you can use them to get World of Color tickets or for the brand new Frozen Live show! 19. Favorite apps: Disneyland has their own app which is great for wait times and fast pass information! Look at the map and tap on the actual ride you're interested in, and it will tell you what time that fast pass will send you back to get in line! It also has useful information like heigh restrictions, best ages for riders, what type of ride it is, and when it opens/closes. We also love the app called Magic Guide that gives you wait times at both parks. I find this one to be a little more accurate than Disney's app and the list feature is really nice when you need to make a quick decision where to go next! Don't have a smart phone or traveling with grandparents who don't? You can find that same info on the board right outside the Jolly Holiday Bakery Cafe (where they have those dreamy Matterhorn Macaroons! ), as seen in our video below. 20. Rider Switch: The golden nugget of Disneyland for families with different ages of kids, where one isn't tall enough for some rides but another is. You can see all the attractions that offer rider switch on this page, but it's basically the rides with height restrictions so one parent doesn't miss out all day while watching the baby. One adult can take the kid tall enough on the ride, while the other adult waits with baby/toddler. Have your entire party go to the line (so they can see you do have a baby or small child) and ask a cast member for a rider switch pass, and the adult who waited can go on the ride with the older kid again. Unlike fast passes, you can use your rider switch at ANY time of the day. Another tip: if you have a party of 4, you can get 2 fast passes to one ride, and 2 fast passes to another, and use rider switch to essentially allow everyone in your party (except baby) to enjoy that ride. Remember, you can save them for when crowds get heavy in the afternoon and use the rider switch passes anytime. In our video below you'll see Neil taking Ani on the Radiator Springs Racers ride by himself while I pushed Lyla around in the stroller and got muffins and juice for everyone. They gave us a rider switch pass so that I could go back with Ani and ride it again. We created this video with Gray Anderson to show what a day at Disneyland is like for our family! I get so happy every single time I watch it. 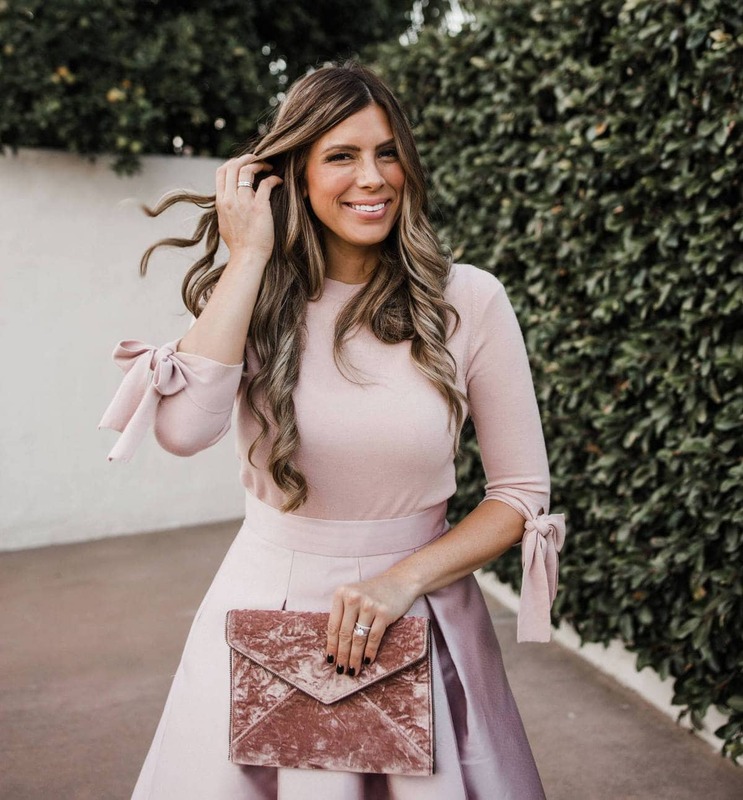 And since I seriously love you guys SO MUCH and feel like you've all helped me build this blog into what it is today, by telling your friends about the daily deals and sharing the Best Baby Registry List Ever with your pregnant besties and forwarding gift guides to your relatives, I've decided to spoil TWO of my readers with $300 DISNEY gift cards! These can be used at any Disney park, restaurant or store, hotel, anything you need to help pay for your next trip to the happiest place on earth! THANKS for making this such a happy, positive, AMAZING community! This was a perfect and super informative post for when we take our babes!!! we love it and look forward to tomorrow’s post, I told my husband and he is excited for the adult post. hahaha! Thanks Corrine! Yay I’m excited too Kjerstine! And it’s always a win when I can get the husbands on board haha. Thanks so much for your support!! Is it just me or is this post super insensitive?? I mean between the massacre in Orlando earlier this week and the toddler that was confirmed to have been killed by an alligator ON DISNEY PROPERTY YESTERDAY it just seems like you could have waited to post this. This post comes across as desperate and insensitive and just…wrong?? Natalie, I honestly hadn’t heard anything at all about the alligator incident yesterday. If you follow me on instagram you know I was deeply saddened by last week’s shootings in Orlando. However the correlation between posting a Disneyland guide when my family lives in and attends Disneyland in Anaheim CA and an insensitivity to the residents of Orlando or families of the victims, because there’s a Disneyland resort in Orlando, never even crossed my mind. This post took me many, many hours to compose and it was meant to be of help to my readers, and was not intended to be insensitive or offensive. Corinne, I don’t think that you intentionally disregarded what happened in Orlando, but that DID just happen THIS week, not last week, and the toddler did just die yesterday and you posted this tonight. I have no doubt that you had this post written and planned WAAAAY before any of those events happened and obviously spent hours of your time on it, but posting this today, this week just seems insensitive to me. Maybe I’m the only one that feels that way. I think you’re the only one that feels that way. What happened in Orlando was very tragic, but I do not understand how that has anything to do with a blog post on DISNEYLAND…a theme park on the other side of the country? You’re reaching here. Corrine, I loved this post so much. 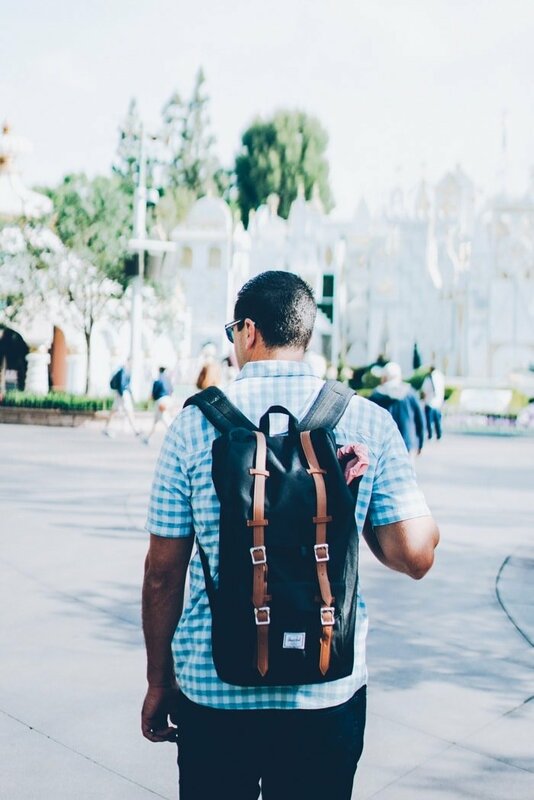 As an avid Disneyland goer, this post is very insightful and helpful! Ahh! Been waiting for this post since the first time you hinted about it! This is so helpful for my upcoming trip with both my babies! Thank you! Such great tips! Thank you so much!! This is so helpful. We just booked our first trip for December. We’re going to surprise our daughters who are 4 & 5. I think they’ll love Ariels Grotto for character breakfast! We can’t wait! Wow. Amazing post! Ill take your tips next time I take the grandkids!!! This makes me want to go back so bad! Thanks for your tips! Beautiful video! This is awesome! I am going to a conference in Anaheim at the end of July and my husband decided to join me with our boys! I was just thinking today where I can ask for a guide to Disneyland. Maybe you can also recommend a restaurant to celebrate my husbands birthday as we will be there. He is a Dosney fan and once switched colleges so he could participate in Disneys internship in Florida. Again, thank you for this post, it certainly helped and will help me plan especially that I will have very limited hours when I can join my family at the park. You ROCK! As Florida residents, we’ve used many of these tips at Disney World here in Orlando. We tried a stroller lock on our first trip and were quickly informed that they are against Disney policy! 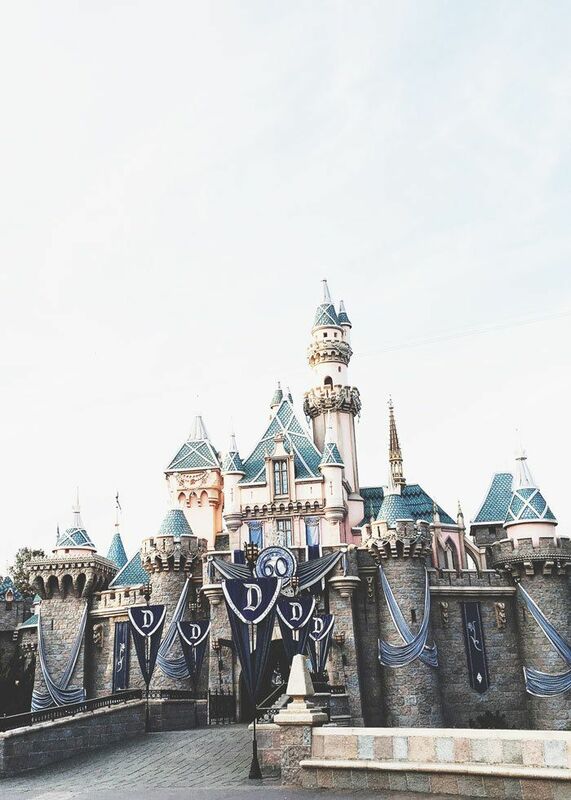 Maybe it’s different in California – we hope to be able to visit Dinseyland one day!! Thanks for all of the great info! Thanks, this is GREAT! Planning my first trip with 3 littles this fall. I now know what days to go based on that calendar! Wish me luck, 4, 2, and 6 months old! Aw thanks so much Jenn and yes, good luck! You guys will have a great time!! My husband & I had a family trip planned to Disney for our anniversary in May but the day before we were going to go, I had a miscarriage & we decided that we couldn’t afford both. However, the following day I miraculously won a Disney vacation on the radio (side note, tithing blessings are real)! I’ve never won anything before so you can imagine my excitement. I don’t want to get greedy but $300 to Disney would be the cherry on top! I’d be able to buy like 3 corn dogs & 3 churros for my fam! ?❤️ I love your blog, you’ve got a great thing going here. Keep it up! Thanks so much McKenzi, that’s so awesome you won the other giveaway!! I hope you have the best time! Best tips ever!!!! So many questions answered! Love it!! & cutest video! Aw thank you Gloria, I really appreciate it! Corrine! Thank you for this. You’ve done it again with more great tips on things we love! Laura thank you so much, I really appreciate it! Comments like this make me feel like all our hard work was worth it! I am so excited about this post! It’s fun because it really seems like you want all of us to win! We are planning on surprising our 5&6 year olds in November with a trip. I will also have a 20 month old and be 10 months pregnant. Gah!! I laughed out loud when I read you went 11 months pregnant. I’ll be looking for tips of what to do while unable to ride the rides. Luckily my husband will be there! Darling family, sweet husband, adorable gingham dress. It all looked so dreamy and got me so excited! I hope I can keep all the tips in my brain when I actually get to the park! Oh my gosh Jen, thank you so much for clarifying!! That makes way more sense. I’m going to update the post 🙂 Thanks again for leaving this comment! Yay! Glad to help. Stroller theft happens more often than people think, unfortunately, and they definitely target the higher end brands like BOB, Buggaboo, etc. This was such a wonderful, informative post! We are taking our kids (7 & 4) next week for our son’s birthday. I wondered if you had any firsthand info on using the disability access pass? Our son has autism and we aren’t sure whether or not it’s worth using. Thanks! Pretty bad timing for this post….given the child death at Disney in FL this week, seeing this post the next day made me sick to my stomach. I guess those of us on the Southeast coast are more aware/disturbed by the Disney death. I understand and sincerely apologize for upsetting you. I just wanted to thank you for this awesome giveaway! I am a huge Disney fan. This gift card will be so helpful. These tips were amazing? Some things I haven’t thought of before. Looking forward to more tips on food? Yay Ginger we’re so thrilled for you!! Do you have a favorite walking sandal? I’m trying to find a pair I like to wear to Disney!